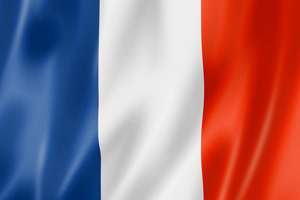 Revolution or evolution: is it the end of SMR and ASMR in France? As Marisol Touraine aims to cut healthcare spending and patients and doctors push for innovative drugs to be priced against the standard of care, what lies in store for pharma? The Euro Crisis has had a major impact on European politics, leading to power shifts in several European countries such as France. Current estimates by the new incumbent government indicate that 15 per cent of the population can no longer afford healthcare, another 25 per cent postpone care and treatments and, overall, some 40 per cent do not receive adequate healthcare in France. Marisol Touraine, the new Health Minister recently nominated by Jean-Marc Ayrault, Prime Minister and Chief of French Government, is responsible for finding solutions to reduce the healthcare spending in the short-term and the pharma industry is therefore understandably anxious about the possibility of further cost control methods, since the healthcare business in France is primarily controlled by the government. Once a drug has received a market authorisation from the European Medicines Agency (EMA) or from the national drug agency, the ANSM (Agence Nationale de Sécurité du Medicament et des Produits de Santé), the drug is assessed by an independent health authority, HAS (Haute Autorité de Santé). One of the HAS committees, the Transparency Committee, performs clinical evaluation and publishes drug assessments based on medical benefit (SMR – Service Médical Rendu) and on the improvement of its medical benefit compared to the standard of care (ASMR – Amélioration du Service Médical Rendu). Other types of information may be included in this assessment such as epidemiologic data, orphan status or national public health priorities but health economics studies are rarely used, even though in 2008 HAS established a dedicated Committee responsible for economic evaluation. The Transparency Committee assessment is then submitted to a Committee under the authority of the Department of Health, the CEPS (Comité Économique des Produits de Santé). This Committee will make pricing and reimbursement decisions based on HAS recommendation. The current system is fairly transparent and allows pricing and reimbursement assumptions based on the Transparency Committee assessment report, thanks to the two criteria: the SMR, used to determine the level of reimbursement, and the ASMR, used to determine the price. The only part of the system that is not transparent to the public is contracting agreements (price-volume agreements, rebates, etc.) between the manufacturers and the CEPS. In the context of debt crisis, healthcare expenditure becomes a sensitive topic and drug price cuts often look like an easy actionable savings lever. In France, there is increasing expectation from patients and physicians that innovative drugs should be priced against the standard of care, in some cases whether the standard of care is approved or not. An example of this is Lucentis in wet age-related macular degeneration (AMD), where the expectation is that there should be pricing parity between Lucentis and Avastin, an oncology drug used off-label; despite data showing increased adverse events for Avastin when compared to treatment with Lucentis. The debate around the annual cost of treatment has attracted a lot attention from an unusual cohort. Patients and physicians are becoming increasingly aware of the financial aspects of healthcare provision, preparing the ground for a surge in health economic assessments. The 2011 HAS annual report mentions the imminent end of the SMR and ASMR, arguing that the Mediator affair challenged the relevance of these two criteria. As a result HAS has developed a new and somewhat unique criterion: the ITR (Relative Therapeutic Index). The ITR will represent the clinical value of a new drug compared to the current standard of care regardless of its approval status. The five-level ITR will provide guidelines for on both reimbursement and pricing. The validity of methodological studies presented for demonstration of superiority and non-inferiority, whether they are direct or indirect comparisons. According to the HAS annual report, a pilot for the ITR has already been used internally in the past few months with no major issues. For pharmaceutical companies, having the right clinical development that satisfies French reimbursement criteria (as above) will become even more critical to ensure a presence on the French market. In anticipation of questions from the pharma industry, HAS has set up a formal procedure of 'early appointment' ('rendez-vous précoce') to discuss the clinical development of a drug. To obtain an appointment, the manufacturer will have to complete the phase II study, and the drug should either address an unmet medical need or provide significant innovation to standard of care. The five-level ITR will provide guidelines on both reimbursement and pricing. The manufacturer will have to provide HAS with a dossier including the phase II results (efficacy and safety) and the early design of the phase III trials. The manufacturer will add to the dossier a list of questions covering choice of comparator, intervention, choice of endpoints, follow-up duration, etc. At the end of the appointment, the manufacturer will have to provide HAS with meeting minutes, which it will have to validate. Three 'early appointments' have been conducted by HAS for drugs in development in 2010-2011 as part of the development of this new procedure. HAS has set the scene for potential different data requirements for reimbursement compared to the data package needed for EMA/ANSM marketing authorisation. What is the impact for pharma? Pricing, reimbursement and market access in France have always been structured using a two-step process: decisions being taken at a national level based on a transparent evaluation and recommendation from the Transparency Committee separating coverage from pricing by the CEPS. With this new index, drug reimbursement by the national healthcare system might actually be less 'transparent', and it will be more difficult to build assumptions for reimbursement levels and price premiums. It may open the door for the non-reimbursement of drugs that do not add significant benefit (me-too, biobetters) over the standard of care from the Transparency Committee and the CEPS perspectives. This dramatically changes the current approach of reimbursing everything that has a medical benefit and relying on price to incentivise innovation. The introduction of the Relative Therapeutic index (ITR) is a radical departure from the previous two-step process used for pricing, reimbursement and market access. major benefit, for example 'me-toos' and biobetters. Concerns are growing that CEPS may decide not to cover a drug based on its budget impact or cost-effectiveness compared to other drugs used as standard of care. This shift in policy could result in the ITR becoming an active part of drug assessments by the end of 2012. Pharma will need to analyse the new assessment format to have any chance of developing robust clinical development plans. Furthermore, with the Law relative on the healthcare reform (voted in at the end of 2011) advocating that the Transparency assessment has a strengthened economic evaluation role, the ITR may lead the way to comparative economic evaluations. Based on the ITR score, CEPS may decide not to cover a drug based on its budget impact or cost-effectiveness compared to other drugs used as standard of care, as currently takes place in the UK. While this shift in policy should lead to the ITR becoming an active part of drug assessments by the end of 2012, it will be critical for pharma industry leaders to analyse the new assessment format in order to develop robust clinical development plans. Pricing, reimbursement and market access outcomes should be carefully re-evaluated to avoid non-reimbursement and potential de-reimbursement of currently marketed drugs. Pharma companies looking to enter the French market should engage payers and HAS members before starting phase III trials to increase their chances of success.